I found a tablecloth for $1.00 at a yard sale. I loved the thick fabric, the print, and of course the amount that was available for creations. Score! For the first project using this fabric, I decided to make a sling bag. Admittedly this project took way longer than I anticipated. 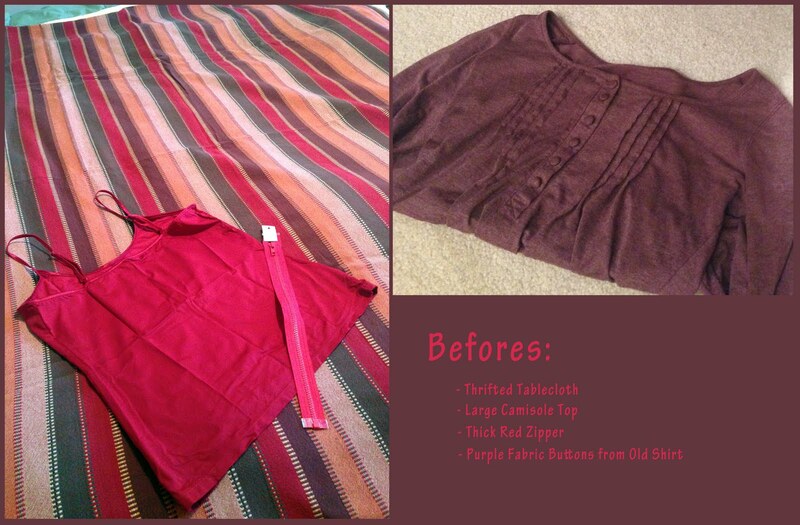 I wanted to remove the green stripes from the fabric (notice the original tablecloth and the bag end result). So I cut out the green and sewed the fabric back together in a few spots. I do love how the colors turned out in the end though. 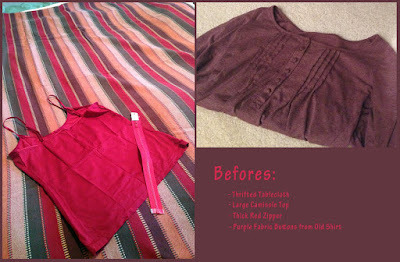 For the lining of the bag, I used a large red camisole top. 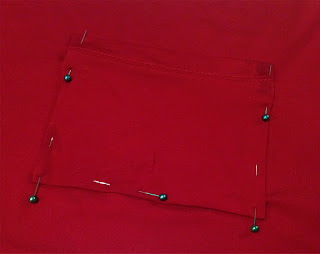 I created a pocket on the inside lining using the bottom hem of the shirt as the top part of the pocket. I sewed the lining to the outside of the bag, and made a long strap to attach to the sides. 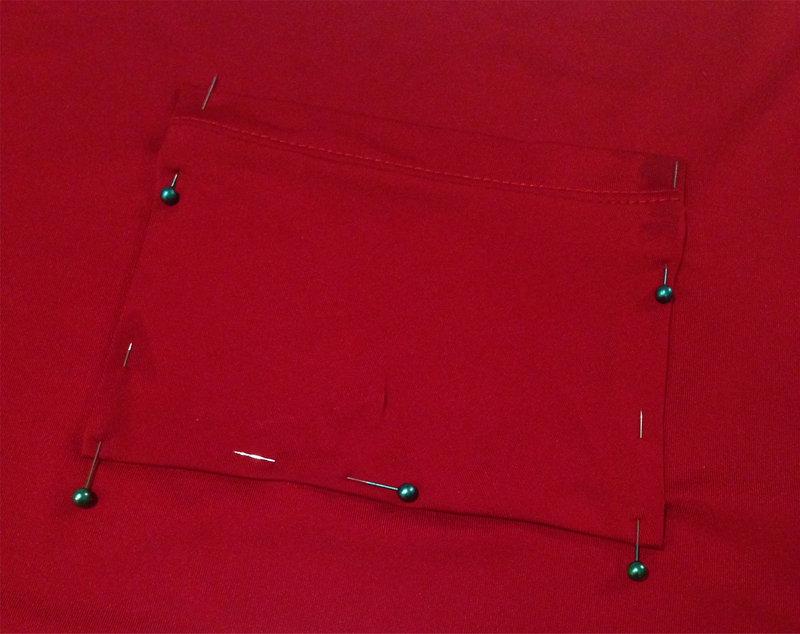 Then I sewed in a thick red zipper. I loved it as is, but since I already spent so much time on it, I decided it needed a little more detail. I used some matching purple fabric buttons to sew on to the side straps. I had six of them that I took off of an old shirt and sewed three on to each side. It just gives it a little more dimension. Now I just need to decide what to do with the rest of the fabric. I might make some placemats or a small entrance rug perhaps…. Wow! I admire your patience for taking out the green stripes and then resewing the fabric together. The crossbody purse looks very similar to mine. Great job.